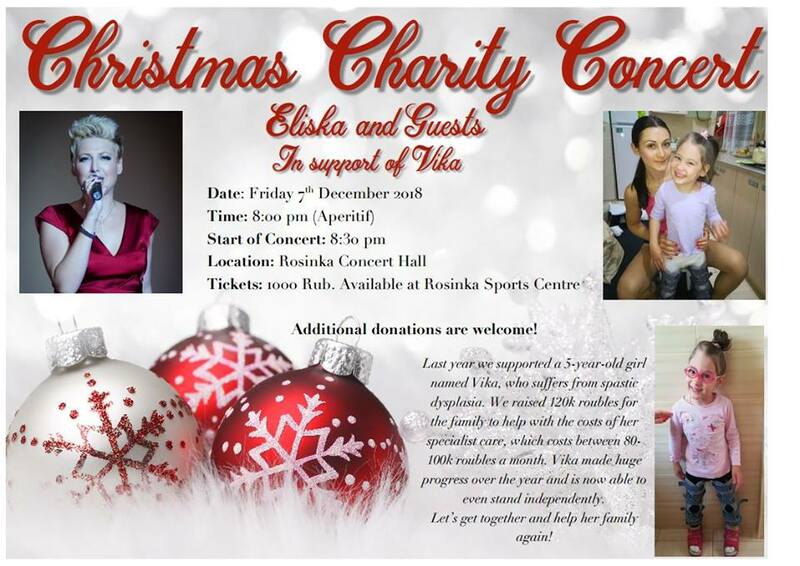 Please join us December 7that Rosinka’s annual Christmas Charity concert. Eliska and guests will once again delight us with their beautiful voices and get us all into the Christmas Sprit. Your kind donations will make a big difference in Vika’s quality of life.